I did one of these posts last year but that was when I could spend every day blogging. Now with the Leaving Cert coming up in 2018, I have to have a plan to get my blog together and so I can continue posting. 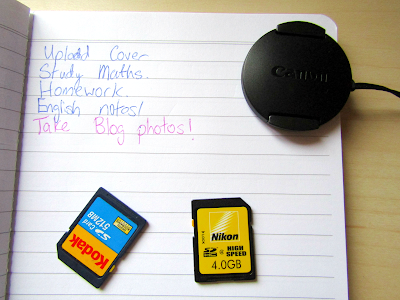 Here are some of my tips, if you could call them that, of how I balance school and blogging. I love Twitter chats, they are great and it's a wonderful way to find new bloggers. I can count using my two hands how many chats I have participated since the start of January. It is impossible for me to find a spare hour during the week between homework, homework and other after school activities. If I do have time for a Twitter chat, I am either too tired or lazy to participate in one. During the weekends, it is slightly different. I have been able to do one or two. 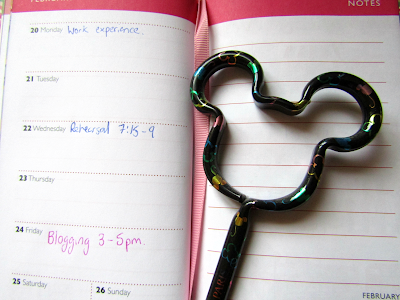 This year, I am trying to become more organised by having a To Do List notebook and a diary. So far they both have been great as I can write up all my to dos and whatever else is going on in my life. This has helped me find time to get some blogging done. This has been one of my strategies since September. Every Friday after school, I spend 1-2 hours catching up on blog posts, reading and replying to comments, replying to emails and planning for the weekend. This helps so much as then I know what I need to do for the weekend. did more, and I also do 3-4 for Instagram. This is great for if the weather is bad one weekend and you need take photos or if you were busy a particular weekend. I like to have my posts planned for the next 2 months. I won't start them until around a month before they are published but I like to have the topic picked so I don't have to worry about what I am supposed to be doing. I don't set them in stone either, sometimes if I'm not feeling writing about something I will change it around to suit. I hope to do a blog post in the future about the planning that goes into making a blog post. 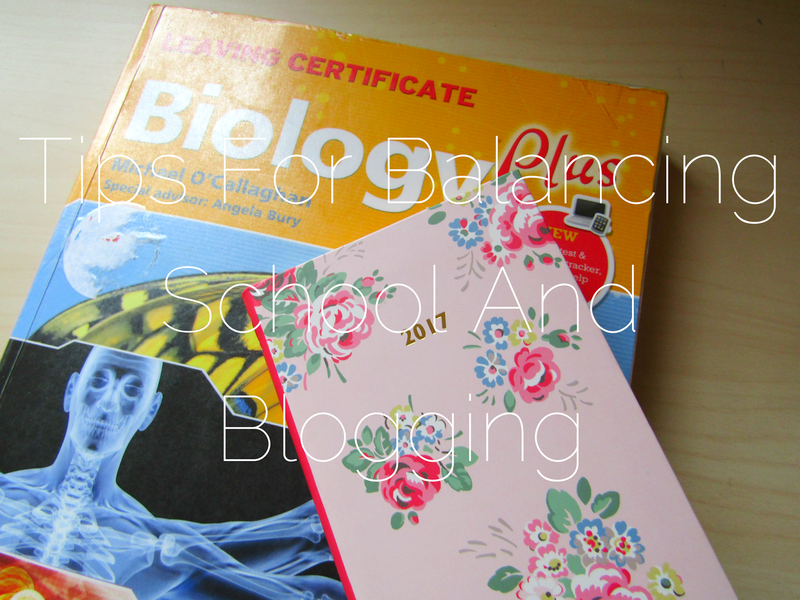 How do you balance school and blogging? Or blogging and work? Thanks for commenting Ailbhe! I don't know how you're managing it either, I can just about get one post up a week never mind two! Thanks for commenting Laura! I used to be so bad at it too but I have had to adapt pretty quickly. I take my photos in bulk, it saves so much time and also you don't have to worry about it being nice every weekend to take photos.